With the third entry into my Christmas present series, I completed all of my gifts to parents! This one was for my husband's father, whom I refer to as Papa-chan in writing (to match Mama-chan!). I had to call in reinforcements when it came to determining eye color because his glasses in photos made it really difficult to determine! Got a special glasses-less close-up photo and written description in the end, so hopefully I got it right XD This cat is another one of my favorites of the bunch. 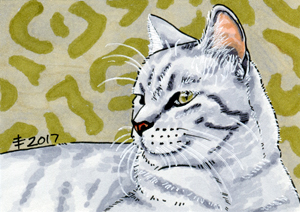 The light grey tabby pattern just matches perfectly with Papa-chan's grizzled hair. This drawing can be purchased on cool printed stuff here! 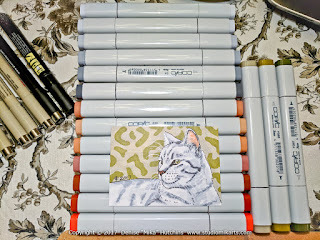 Of the cats in this series so far, this was the first one on which I didn't see a need to incorporate colored pencils. 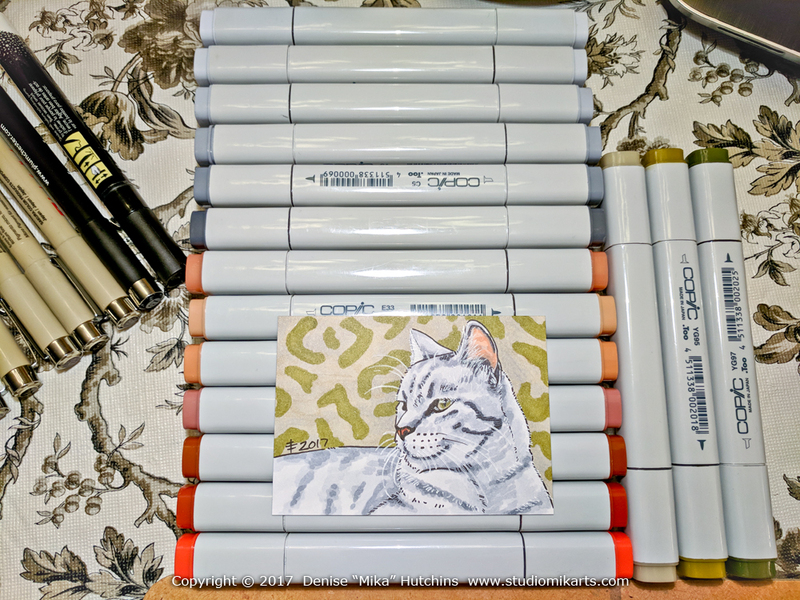 Since the cat is just shades of grey anyway, I was able to get the color and texture I wanted just by layering ink, marker, and more ink.